“Those wild and crazy Mayans put down their marker that the end of the world would occur on Dec. 21, 2012 – about two months from now. There is, of course, some small chance that they might be right. On the other hand, there is a very large probability that the real end of the world will occur around March 4, 2014. It is March 2014 and before detractors claim that March 4, 2014 is the predicted date, please note that in the quote it says “around that date” in the quote above, not predicting the actual date. Which leads to an excellent article over at OmegaShock, who notes as I show in the first video below, that in 2011 and Obama official made it clear the goal was to “kill the dollar,” and just over a year ago, Doug Hagmann of the Hagmann and Hagmann Report also connected the dots about the killing of the US dollar. Both those videos will be shown below mine so everyone can see how everything that is happening today was planned and orchestrated. Before they ever started down this road, the US State Department and the alphabet agencies of North America and Europe knew that nothing of long term significance would occur in Kiev. They knew that any pro-EU coup would be temporary. They knew that Russia would move to solidify her presence in Crimea. They knew that far-right groups would muscle their way into this Ukrainian Revolution. They knew that Ukraine would be thrown into turmoil and cause further damage to an already damaged country. And… They knew that there would be no strategic gain to the EU or the US. Why did they invest several billion dollars in an activity that could only fail? What is this ‘secret move’ that they do not want us to see? 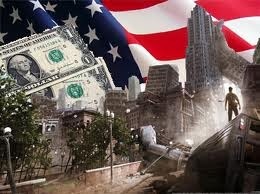 Killing the US dollar… total, imminent, economic collapse. All eyes are on Ukraine, the US destabilizing the Ukraine, Russia moving to protect their interests in the Crimea region and by the time all eyes start looking around again, the dollar will be dead, the economy near total collapse and Obama will have everything in place to declare martial law. Watch all three videos and see if you agree. From Doug Hagmann of Canada Free Press comes a chilling account of what’s in store for us if we continue to ignore the bare-faced warnings of the central power base..